First the Bank of England outraged vegans and religious groups by using animal fat in the new £5 note. Now it has annoyed environmentalists by revealing the new £20 note could be made with palm oil, the production of which leads to deforestation. 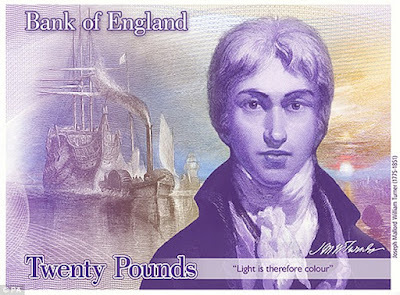 The Bank suspended the tender process for the £20 note – due in 2020 – after protests over tallow in the plastic fivers. But on Friday it was criticised by Friends of the Earth after revealing the ‘only practical alternative’ is palm oil. The Bank said it would ‘reflect’ before making a final decision by summer. 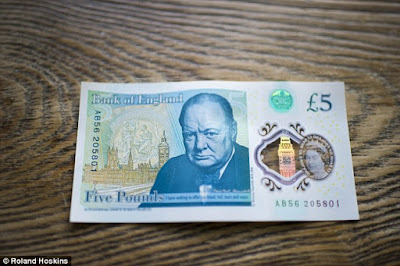 This comes after it was emerged the polymer used to make the new notes contains traces of tallow, a by-product of animal farming. This polymer is converted into a ‘substrate’ – a white coated film – on which the design of the note is printed. The Bank of England promised to come up with potential solutions in December, shortly after more than 110,000 people signed a petition to shelve the £5 notes. The report and the Bank’s note printers De La Rue, suggested palm oil would be the best alternative. But the Bank said it will ‘reflect upon the various religious, ethical and environmental considerations’ of both tallow and palm oil before making its final decision.